Botox® is quickly becoming a popular solution for dentists treating patients with TMJ dysfunction, or TMD. Plus, besides relieving painful symptoms like migraines or shoulder pain, Botox also eases signs of aging. But for some, this simple, non-surgical therapy may be unappealing. Whether you’re nervous about the injections or just don’t want to schedule new appointments every four to six months, you’d just rather find a different way. You feel those first twinges of pain and brace yourself for what’s coming –another migraine headache. The pain can be unbearable, and at times, take you completely out of commission. The throbbing is miserable, and light and sound might as well be sharp instruments prodding your brain. You don’t have time to live this way! But where do you turn for help? Migraine Relief from Your Neighborhood Findlay Dentist? Yes! Many patients think they are helpless against the torment of migraine pain. It’s simply not true. If you suffer from headaches, they may be caused by TMJ dysfunction, also known as TMD. 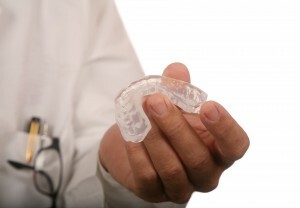 What you should know is that TMJ dysfunction is highly treatable and help is available from Dr. Kibbey at his Findlay general dentistry practice. As the years go by, you’re probably noticing facial wrinkles and lines beginning to appear. You may feel young on the inside, but the outside doesn’t match! In Findlay, Dr. William Kibbey has a way to remove years from your appearance. He uses Botox, Juvederm Ultra, and Restylane to eliminate lines between the eyes and around the mouth. Orthodontics is the art and science of repositioning teeth for great smiles. In addition to looking fantastic, properly aligned teeth are easier to keep clean, which promotes good oral health. In Findlay, you can choose the type of orthodontic treatment that suit your specific needs: traditional braces or Simpli5 clear braces. Dr. William Kibbey has completed advanced training in orthodontics, and he has over 20 years of experience creating gorgeous smiles. He’ll work with you to determine the optimal solution for your unique needs and one-of-a-kind smile.